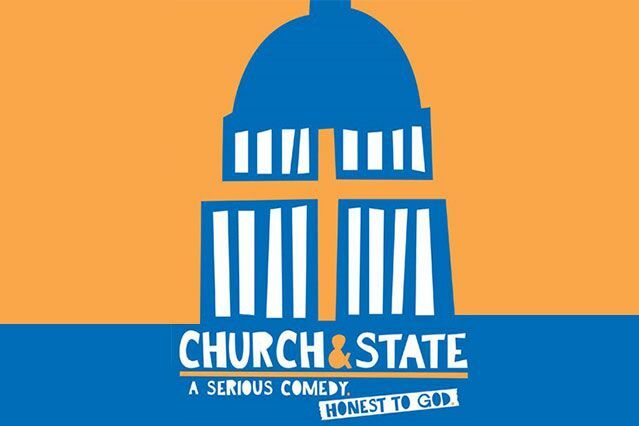 “Church & State” explores how religion, guns and social media influence our political system. To commemorate the one-year anniversary of the Parkland, Florida, shooting at Marjory Stoneman Douglas High School, the UCLA Department of Theater and NewYorkRep will present one of a nationwide series of staged readings of the award-winning, off-Broadway play “Church & State” Thursday, Feb. 14, at 5:30 p.m. Written by Jason Odell Williams, “Church & State” tells the story of a gun-loving senator running for re-election. He examines his position on the Second Amendment following a shooting at his children’s school. The play explores how religion, guns and social media influence our political system. Tickets are complimentary and will be available at the venue prior to the reading. 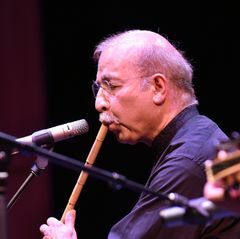 The performance will be held in the UCLA School of Theater, Film and Television’s 1330 Macgowan Hall. UCLA TFT student Anna Mader directs student cast members Carl Ballantine, Mary Alex Daniels, Beatrice Brown and Jacob Cherry. The creative team includes sound design by Yasmine El-Tayeb and dramaturgy by Danielle Jensen, a graduate of Marjory Stoneman Douglas High School. The show is produced by UCLA TFT students Olivia Robertson and Emma Wenkert. NewYorkRep is partnering with The Brady Center to Prevent Gun Violence, which is providing speakers to lead talk-backs following performances at some locations, including at UCLA. “Using theater to focus our shared conversations on issues that matter to all of us as human beings puts our students at the center of a powerful national narrative with the ability to foster social change,” said UCLA TFT Department of Theater Chair Brian Kite. Other university theaters that will also present the reading on Feb. 14 include Indiana’s Butler University; the University of Kansas; Tulane University; Pittsburgh’s Point Park University; Miami’s New World School of the Arts; and North Carolina’s Elon University. 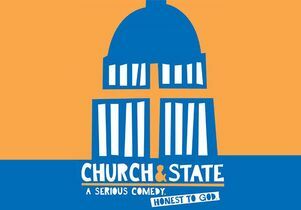 The Los Angeles Times praised “Church & State” as “gripping entertainment” and “simply superb,” and the HuffPost called it “powerful, humorous and highly contemporary.” “Church & State” had its New York premiere, presented by lead producer Charlotte Cohen, off-Broadway at New World Stages in 2017.